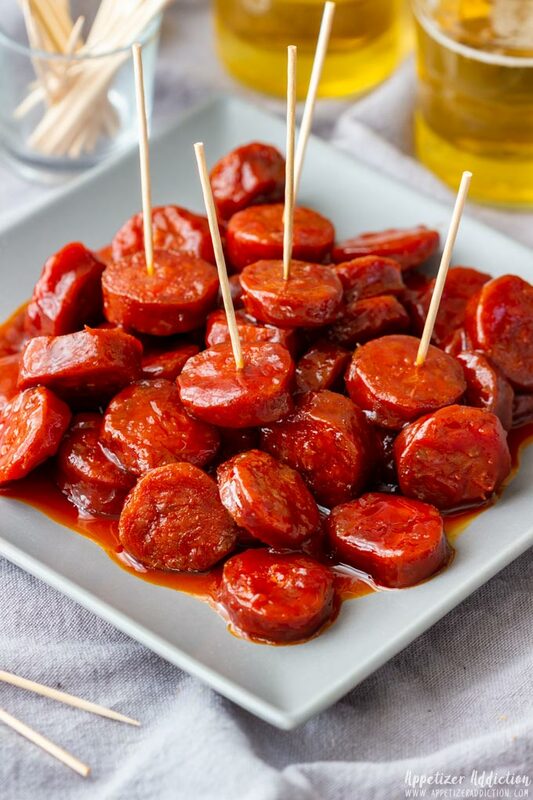 This is an easy recipe for chorizo bites. 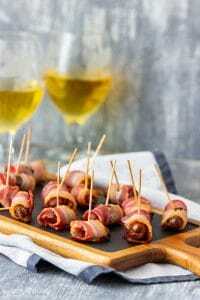 Glazed in sticky beer sauce this Spanish chorizo sausage appetizer can be enjoyed either warm or cold! They only take 15 minutes from start to finish! 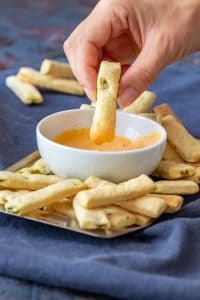 How to make chorizo bites? Cut the chorizo into thin slices. By thin I mean less than half an inch (about 1 cm). In a skillet, melt butter and throw the chorizo slices in. Fry them for 2-3 minutes before adding soy sauce, beer and sugar. Turn the heat to high and cook until the beer has reduced its volume significantly. This takes about 4 minutes. Make sure to stir from time to time. Then all you have to do is thicken the beer sauce with ketchup. 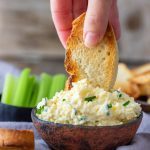 After this step you are ready to serve these easy appetizer bites. 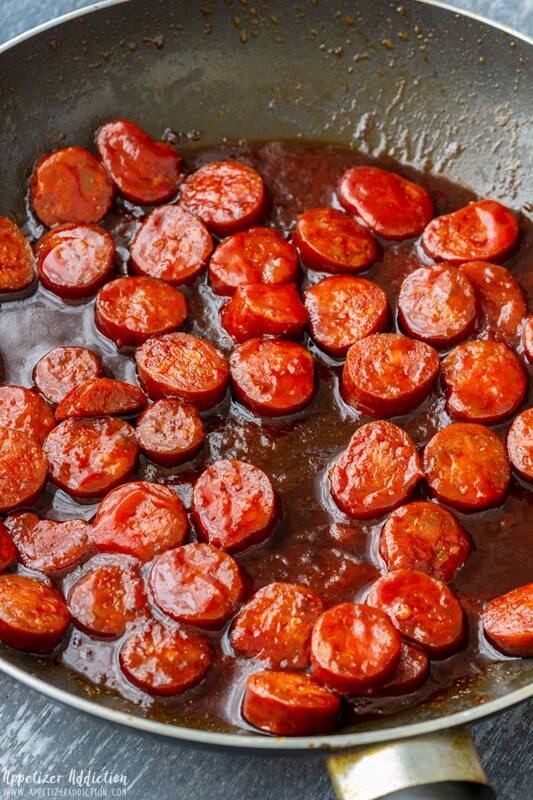 As you can see the sauce for chorizo sausage is very easy to make and literally takes minutes. 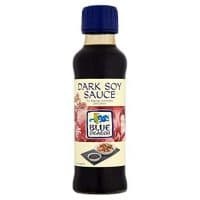 The sauce should be thick but there won’t be a lot of it. Just enough to coat each chorizo bite + a little leftover. If you would like to make more sauce, just double the amounts stated in the recipe. It is a dry-cured sausage that can be spicy (picante) or sweet (dulce). Some brands may taste spicier than others so if not sure, start with the sweet one. This sausage can also be bought fresh in Spain (not sure about other countries) – in the chilled section, usually packaged on a tray and wrapped in plastic foil. This one is perfect for grilling and needs to be cooked before being consumed. You can also come across Mexican chorizo. 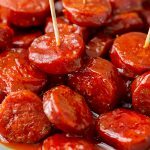 Is there a difference between Mexican and Spanish Chorizo? Yes, there is. The difference is in their taste, texture and look. This post: Mexican vs Spanish Chorizo. explains it well, if you are interested knowing more. I suggest you buy and try them both, if you get a chance! That way you will be able distinguish the difference. 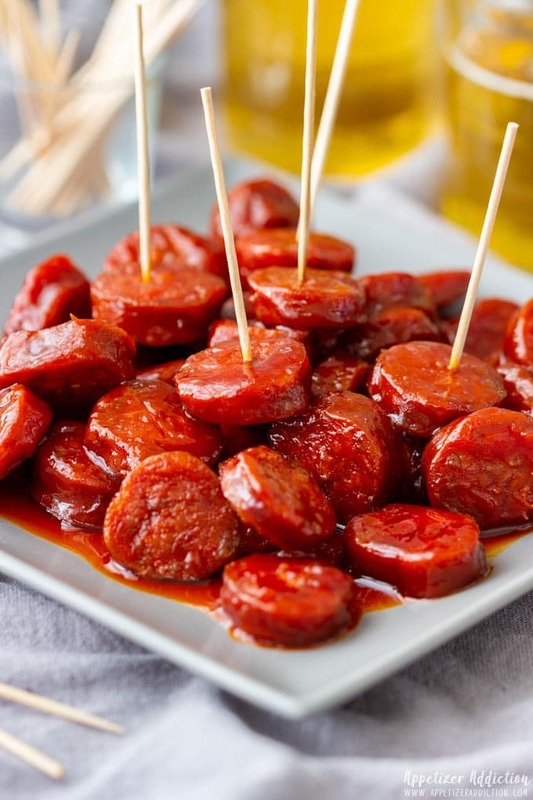 Now that being said, to make these chorizo bites you need to get the Spanish sausage! There is not much sauce left but it is enough to cover all the chorizo bites. 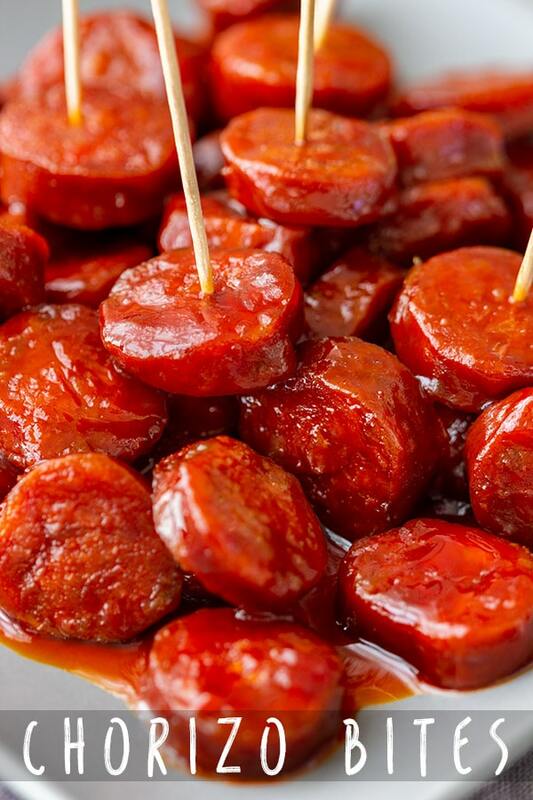 Make these sweet chorizo bites spicy by either adding a few drops (or more) of hot sauce to the beer sauce or buying spicy chorizo sausage. The sausage may be wrapped in a very thick casing. If this is the case, remove it. Try using Polish kielbasa, if you can’t find chorizo where you live. However, if you can, I recommend giving it a go! You won’t be disappointed. 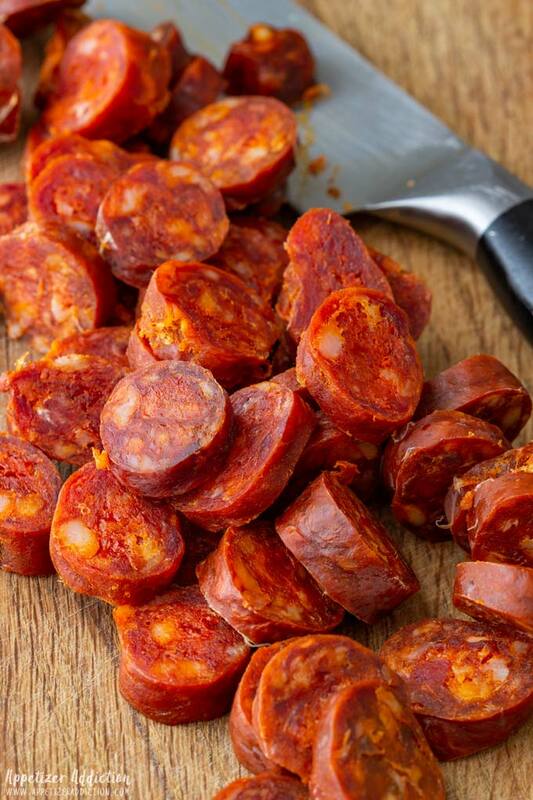 Remove the skin from chorizo sausage (if too thick) and slice it into ½ inch (1 cm) slices. 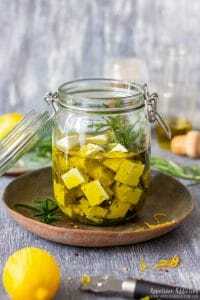 In a skillet/frying pan, melt the butter. Add the sliced chorizo and cook the sausage on low-medium heat for a minute or two before adding soy sauce, beer and brown sugar. Give it a stir. Increase the heat and cook for a few minutes to reduce the beer. Stir from time to time. Stir in the ketchup. 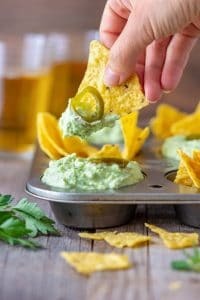 I used pale lager beer to make these bites. You can use either sweet (dulce) or spicy (picante) Spanish chorizo. If you can’t find chorizo, you can try using kielbasa instead. 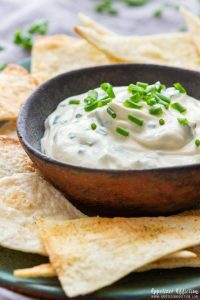 Appetizer Addiction is a participant in the Amazon Services LLC Associates Program, an affiliate advertising program designed to provide a means for us to earn fees by linking to Amazon.com and affiliated sites. Love both types of chorizo and this looks like a great recipe with the Spanish type. 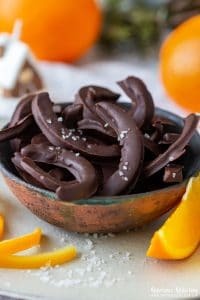 These would be great to serve at a party! They wouldn’t last long in our house though – we LOVE chorizo. 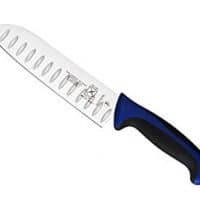 Oooo great for a summer bbq!! 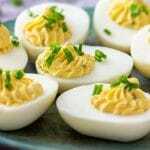 This is a perfect appetizer for a get together! Wow! 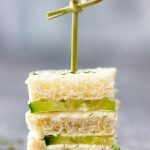 Could this appetizer recipe be any easier?! I think not! Perfect for a last minute gathering.